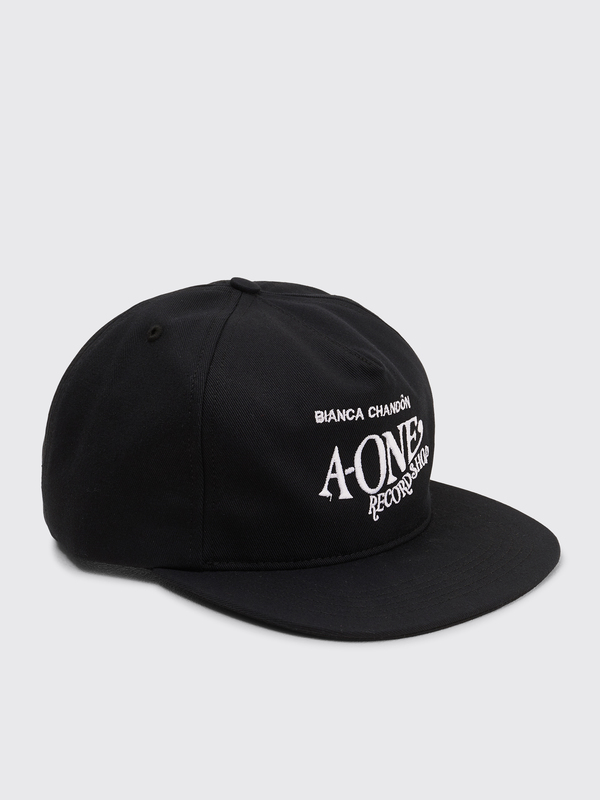 Cap from Bianca Chandôn made in collaboration with A-One Records. Tonal embroidery vent holes on the crown and contrasting white embroidery on the front. Black cap. Made in the USA from 100% cotton. One size. 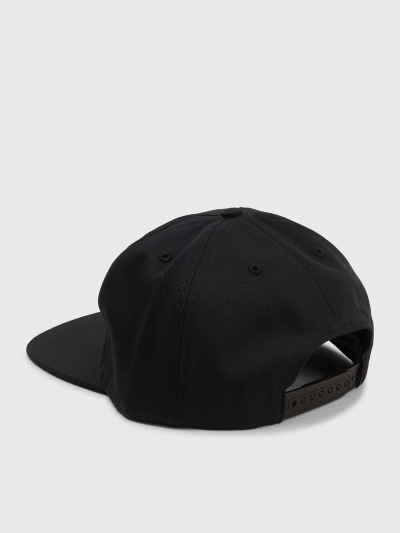 Five panels with adjustable snap back closure.